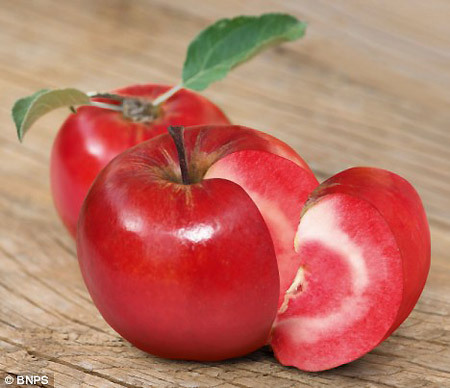 At first glance, it may look like a bright red tomato, but upon closer inspection and a bite, you'll realize that it's just a red-fleshed apple. According to scientists, this variety is not only tasty (similar to berries), "it is even healthier than your average apple as its red flesh is richer in antioxidants." The Redlove is the result of 20 years of painstaking work by Markus Kobert, a Swiss fruit grower. 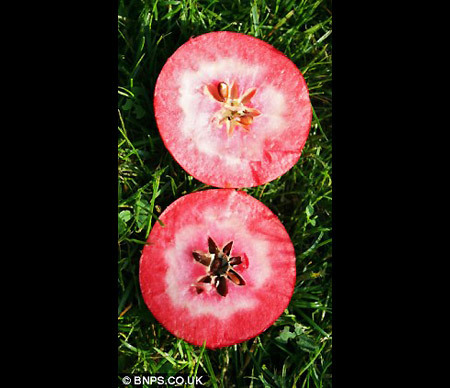 He has cross-pollinated a number of varieties - including one that has pink flesh but no taste - to come up with the Redlove.